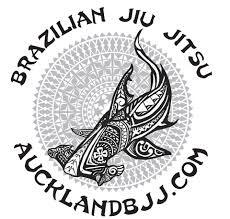 The NZ police force has a NZ champion judoka in their force throwing an attacker in Hamilton. "They picked the wrong cop. A Hamilton police officer who was attacked outside the Hamilton East drugs shop is a judo black belt. Witnesses said members of an unruly mob taunted him, calling him Jackie Chan. They did not know who they were dealing with. Constable Sean Choi was on the beat outside synthetic cannabis dealer U njoY on Grey St during a tense and violent Tuesday. Police said one of the shop's customers approached Choi and tried to pick a fight. He gave up on the first attempt yet returned minutes later and tried again. The man was arrested but another man allegedly joined the fray and jumped on Choi's back. Choi has been a member of the Metro Judo Club since he arrived in New Zealand from South Korea as a teenager. Head coach Terry Steenson said the alleged attacker was destined to take flight: "We move in close. Where most people would back away it is in our nature to move forward. We fight in their face. We fight inside their arms and legs and a lot of our stuff is throws. Most guys wouldn't know how to land from a throw or wouldn't know what's hit them when they started flying through the air . . . it wouldn't have been pleasant." A shop owner, who asked to remain anonymous, saw Choi in action. She said the policeman "dropped" a "huge, big guy". "He picked him up, pepper-sprayed him and dropped him," she said. "I looked at it and went, ‘holy s . . . '. Choi does that kind of thing for fun. In fact, he gets his kicks from lifting up and throwing men much bigger than he is, some up 130 kilograms, to the ground. He's a third dan black belt, a former New Zealand champion, an Oceania Champion and he was close to qualifying for the Olympics when he dislocated an elbow a few years ago. Mr Steenson said police work takes up a lot of Choi's time now, but he still trains and helps children at the club improve their technique. He's a good role model, Mr Steenson said. "He's very humble - an awesome bloke. He's reserved, but when it comes to his passions, judo and family, he's very passionate."